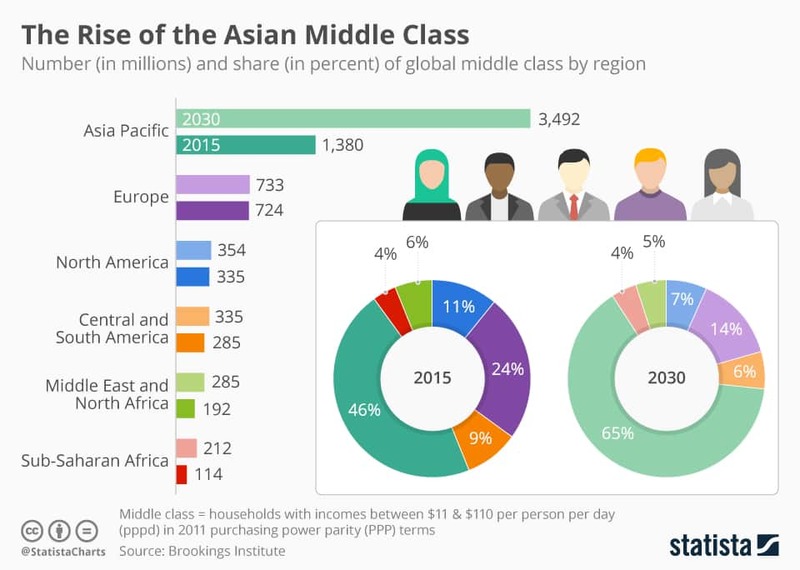 We probably all suspect that the growth of the middle class will come from the Asia Pacific regions, but I doubt many would think it could grow from less than half of the world population last year to almost 2/3 of humanity in less than 15 years. According to projections of the Brookings Institute, that’s what we should expect. 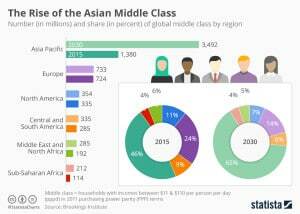 Within the next 15 years, the middle-class (a.k.a consumers) population will grow by as much as TWICE the total of Europe and the USA combined TODAY! Time to rethink your strategies!